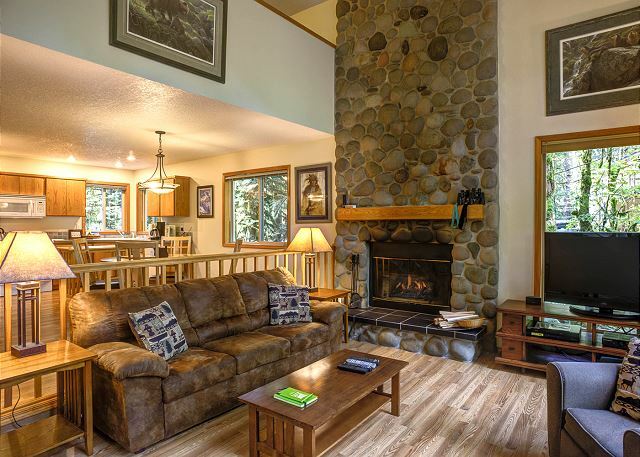 Relax and unwind at the Salmonberry Retreat, a warm and comfortable cabin with a vaulted great room and floor-to-ceiling windows bringing in lots of natural sunlight. 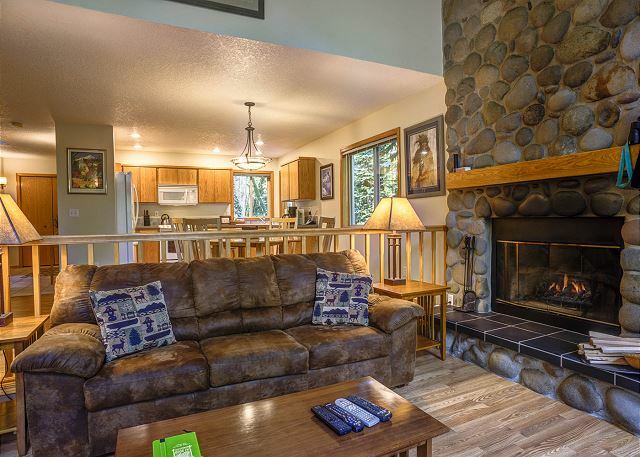 Settle in by the rock fireplace enjoying a real wood fire or gather around the outside firepit roasting marshmallows and reliving the day's adventures exploring Mt Hood. The backyard deck and patio is perfect for grilling dinner on the gas BBQ, then socializing with friends serenaded by the sounds of the rushing Sandy River and birdsong. End the day with a soothing soak in the private, outdoor hot tub. 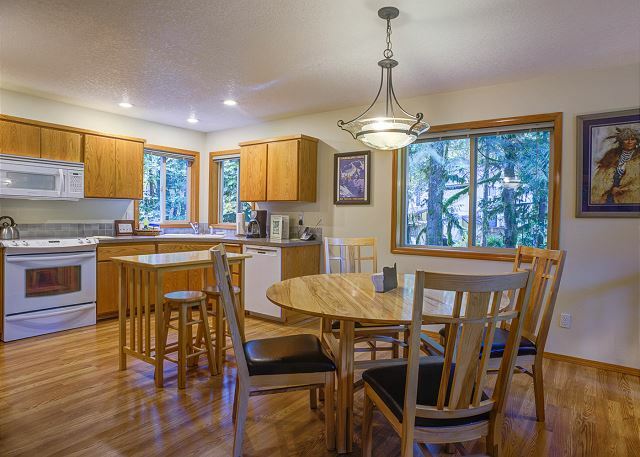 Everyone in the family will appreciate spending time together while cooking meals, watching TV or playing board games in the spacious great room that is open to the kitchen and dining area and leads out to the back deck. The floor plan accommodates up to 3 couples or a small family with 2 queen bedrooms and a full bathroom downstairs and a queen loft with an attached private bathroom upstairs. You will be close to all Mt Hood activities including hiking trails, snow play areas, restaurants and shops. Mountain bikers can ride 1 1/2 miles to the Sandy Ridge Trails. Your dog is welcome to join you at the Salmonberry Retreat for an additional charge. Rent with the Dream Catcher Cabin, 1/10 mile down the road for larger groups.